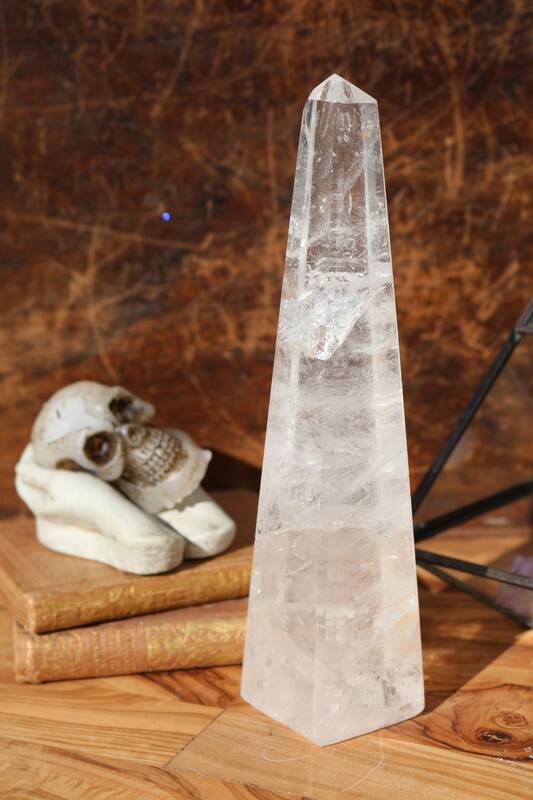 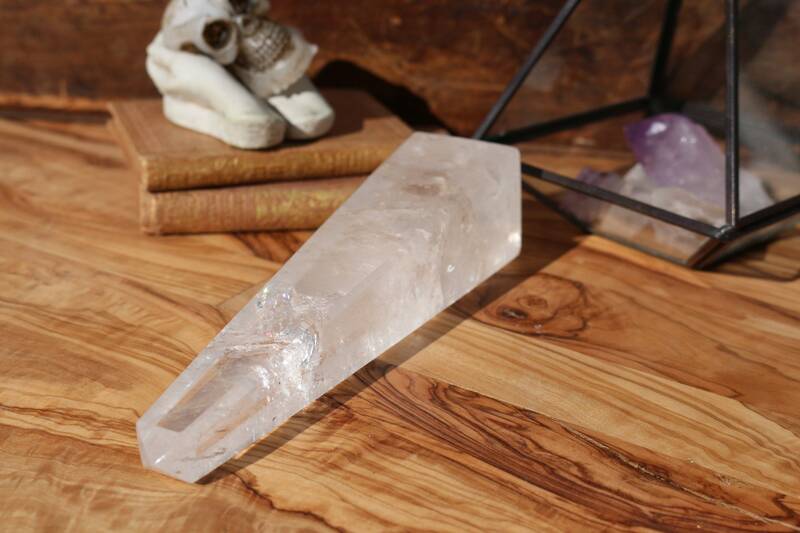 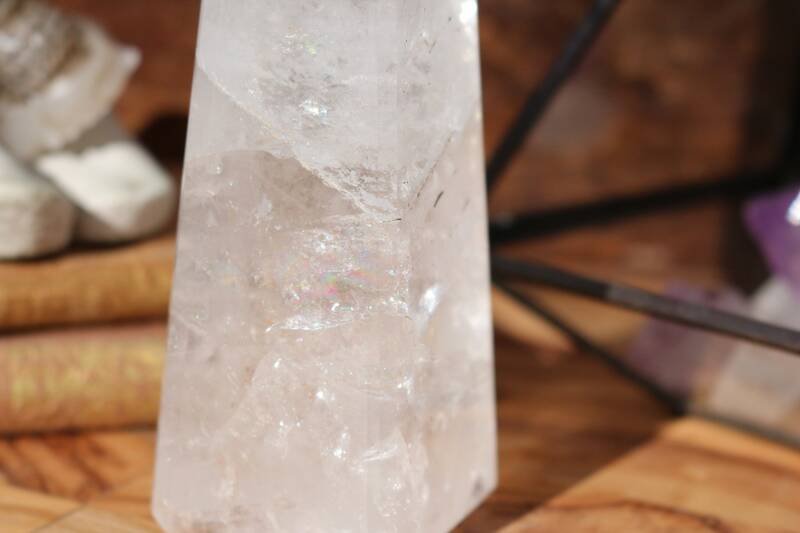 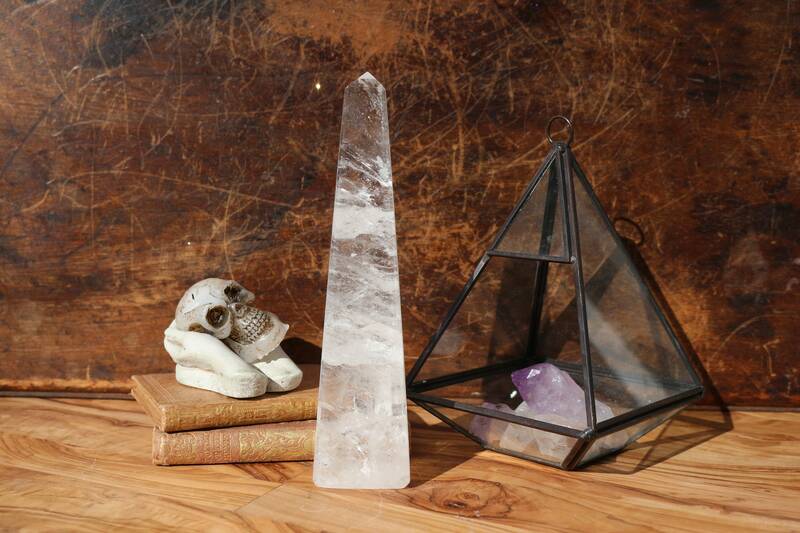 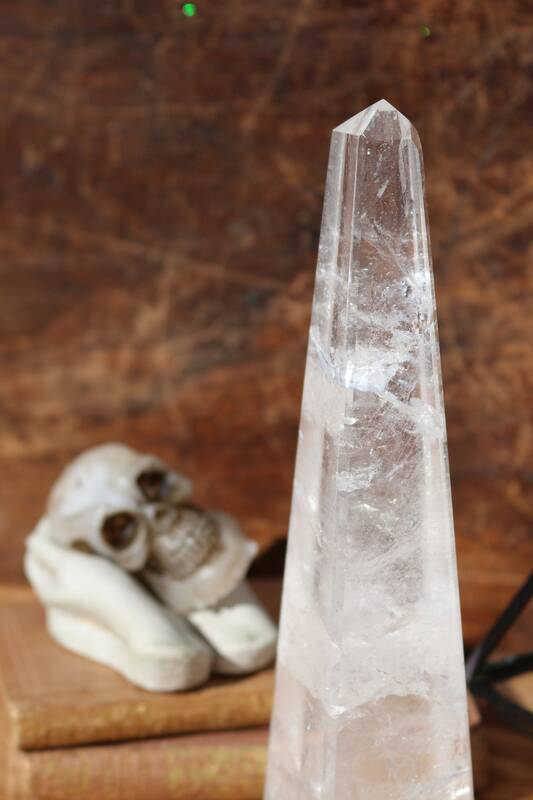 An exquisite Brazilian Clear Quartz Crystal Obelisk with amazing rainbow landscapes. 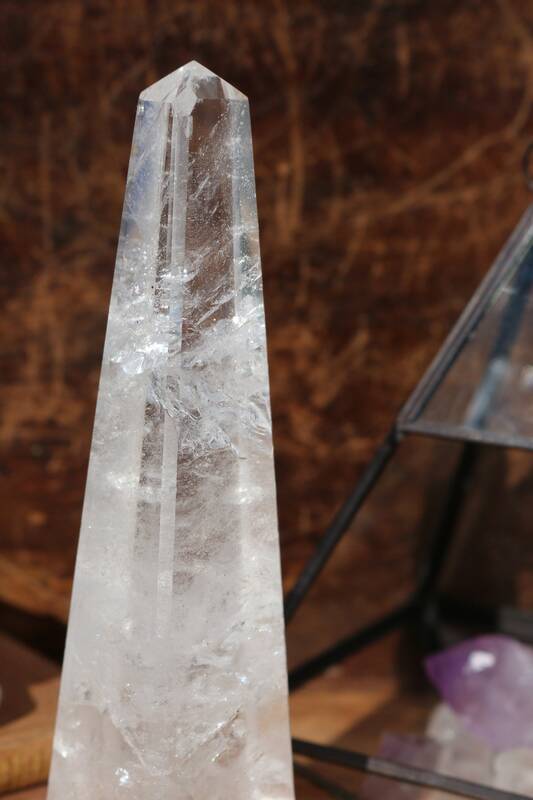 Base: 1.55" x 1.55" x 1.55" x 1.55"
PLEASE NOTE: Just as every star in the sky and every grain of sand on a beach is different, so is every natural crystal on the Earth. 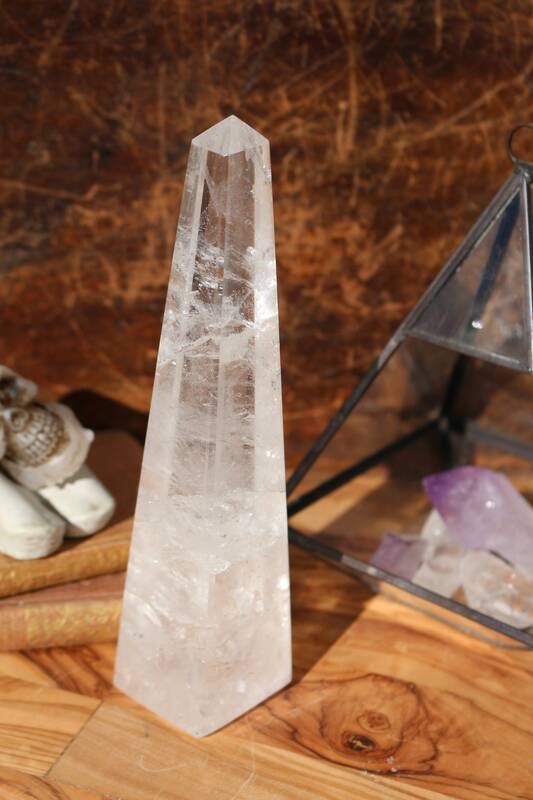 What appears to be an imperfection to one is THE selling point to the another. 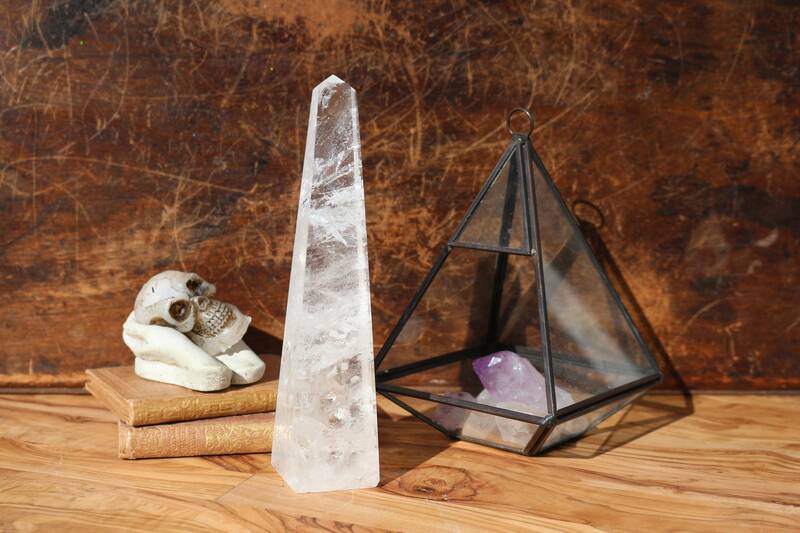 We ask that you, please take your time look at all photos; zoom in and take your time. 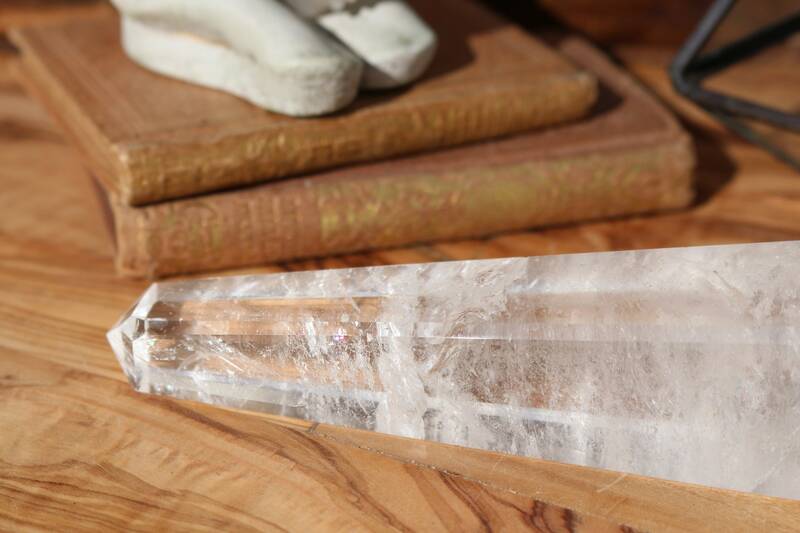 Also, there are times where a crystal appears to be cracked (broken); these are not cracks like cracks in a dish. 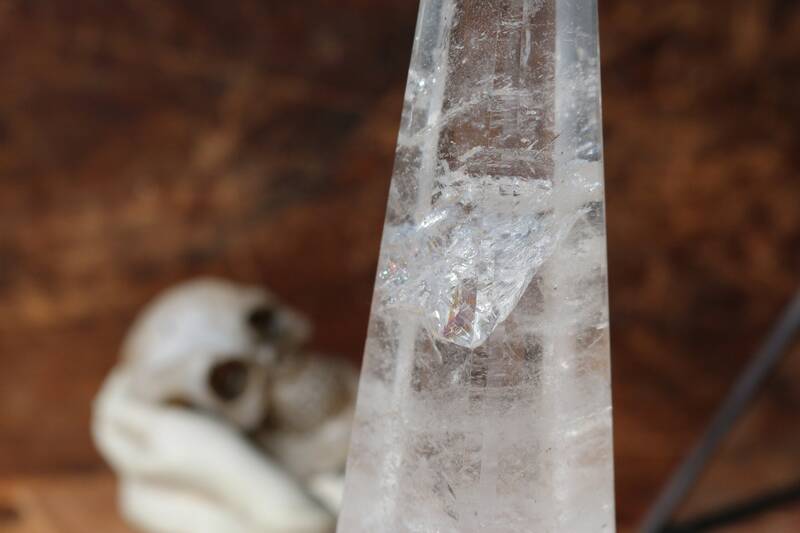 Also, being that I try to use 100% natural lighting, there are days where the natural light is not as bright as others in the photo.